Though the famous Möbius strip begins as a two-sided long strip of paper, when constructed, it becomes non-orientable, meaning it has only one side. It’s both an art project and a mathematic curiosity, creating an infinite loop. It also happens to be the name of the current Luis González Palma exhibit at the Lisa Sette Gallery. In his Möbius series, González Palma adds to his emotionally charged photographic portraits of indigenous Guatemalans with an acrylic painted overlay of bisecting geometric lines and shapes. He alters repeating portraits with different abstracted, geometric imagery, sort of throwing us for a loop – much like the Möbius strip for which the exhibit is named. Carrie Marill’s series, Unbalanced, adds another dimension to this exhibit, using both hand and machine to create art in geometric form. 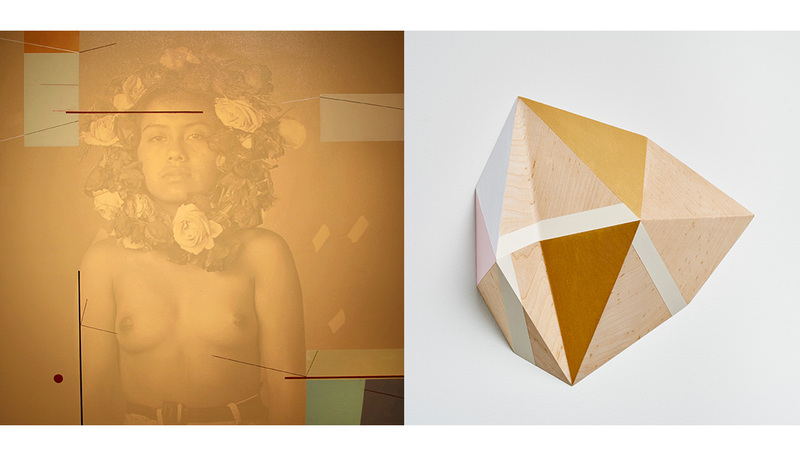 She created these works in response to the González Palma’s Möbius series, and both artists succeed in challenging us to use both sides of our brain to fully appreciate their magic. 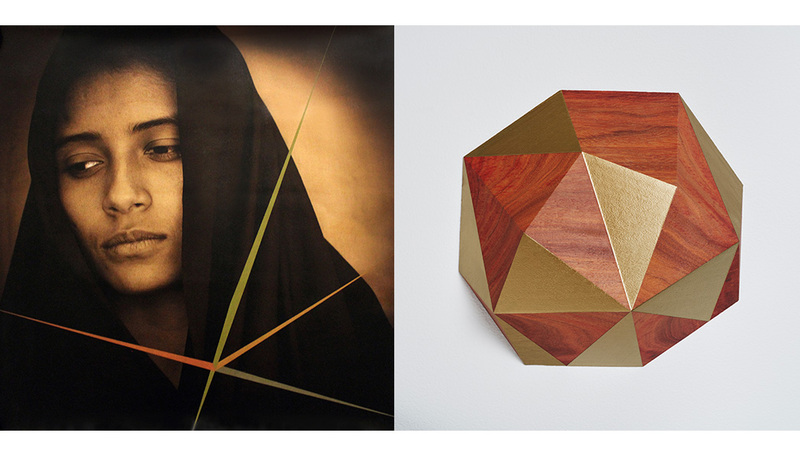 Luis González Palma, Möbius, photograph printed on canvas, acrylic paint, 35″ x 35″ unframed, 38.5″ x 38.5″ framed, unique.